Asthma Inhaler vs. Nebulizer: What's the Difference? Asthma Inhaler vs. Nebulizer: What’s the Difference? Asthma is the result of chronic inflammation of the airways, which subsequently results in increased contraction of the surrounding muscles. This among other factors leads to bouts of narrowing of the airways and the classic symptoms of wheezing. The narrowing of the airways is typically reversible, with or without treatment. While a treatment can help get the relief fast, it can take much time to relieve the problem by itself and waiting. Inhalation is one of the most common techniques for administrating respiratory diseases like asthma. Nebulizers and Inhalers are the two known devices that can be used to take the medicines that help in relieving or preventing the asthma attack. Here in this article, we will try to understand more about these two devices in detail along with its advantages and disadvantages. Inhaler Vs Nebulizer: What Is The Basic Difference? Pros and Cons: Which One Is The Right Option for You? Can You Use Nebulizer And Inhaler Together? Inhalers are small, handy devices to help relieve asthma attack at times of emergency. These are available in metal and plastic. It includes a pressurized tin canister which contains the medicine for asthma. The device releases the fixed measured dose of medicine when the canister is pressed. This is why these devices are also referred to as ‘metered dose inhalers’. Inhalers may be used with a ‘spacer’ – a plastic add-on device, which is kept between the canister and the user’s mouth to take the inhalation of medicine. DPI (dry powder inhaler) is other type of inhaler which uses a measured dose of powdered medicine, hence manual loading is needed. It is a compressor that contains compressed oxygen or air to deliver through a tube to the mouthpiece. Compressed oxygen or air runs with high velocity across the tube into the liquid medicine (available in a small cup in the mouthpiece) to convert it into fine mist, for inhalation. Nebulizers for asthma usually work with a battery or with electric power. Jet nebulizers are the most commonly used models as they are easy to use. However these makes loud vibratory noise when switched on. Inhalers release the medicine in the form of aerosols and the patient inhales it through the mouth. He/she needs to manage the inhalation with the release of medicine. Spacer in the device catches the aerosols and takes it into the mouth through slow, deep breaths for 4-6 times. Patients need to hold their breath for 10-15 seconds to let the aerosols resolve in the bronchial walls. Nebulizers on the other hand, changes the liquid medicine (added to the cup affixed to the mask) into fine mist through pressurized oxygen. Patient inhales this fine mist of medicated air for about 10-20 minutes to get the relief. Inhalers for asthma attack are quite affordable, easy to use and carry everywhere. Affordable cost makes it highly recommended for daily use and to treat emergency respiratory attacks. The only drawback of using inhaler for asthma is it needs co-ordination of breath to let the aerosol medicine reach the lungs. If done improperly, it may result in poor breathing relief. Fortunately, with changing time and medical technology this issue has been greatly addressed by the spacer device for asthma. Nebulizers are used in hospitals when medicines are need to be given to patients with a tracheostomy collar, those with acute breathing difficulty, intubated patients, those who are in ambulances, etc. Nebulizers are bit bulkier and are not portable. Based on the features these are many times expensive too. Studies showed that side effects like tremors and anxiety due to asthma medicines may occur if regular medicine is given through a nebulizer. With the above detailed analysis, hopefully we have successfully answered the question you have in mind: Is a nebuliser the same as an inhaler? When to use nebuliser or inhaler? Can we use a nebulizer after using an inhaler? Can we use nebulizer and inhaler together? Frankly speaking, there is no strict criteria for using nebuliser or inhaler for asthma problems. While nebulisers are good to use at home or hospitals, inhalers can be easily carried and used anywhere you want – due to its compactness and portable nature. During an asthma attack inhalers are fast and easy to use and can deliver the asthma medications more quickly. To conclude, both inhalers and nebulizers are equally effective in administrating asthma medicines and can be used as per patient’s need and condition. Being portable and easier to use, inhalers are best suited for asthma patients (when used with a spacer) to deliver the medicine to the lungs. 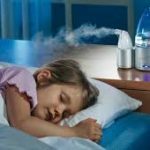 However as nebulizers are found to be more effective for children, these are being used by parents to relieve their child with asthma and other respiratory troubles. 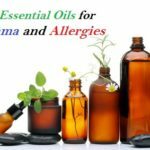 Many people generally use both of these at different times of the day to manage their problem. In the morning they often get their aerosol medicine through nebulizer at home. And then carry an inhaler for their day use, just in case if they need it at time of emergency.